I've been in the car business all of my life. I enjoy the car business. 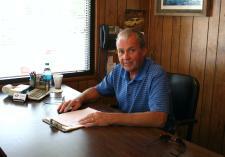 I like selling the very best cars and trucks you can find. I want our customers to have the very best buying experience a person can have. Just come see the difference. 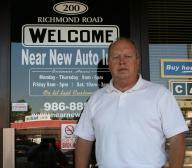 Terry has enjoyed the car business and dealing with customers for over 30 years. He takes pride in selling good vehicles at a good price. Always trying to suit the customers needs and making sure every customer is satisfied. Todd handles all your financing needs and works with our banks and credit unions to make sure each customer gets the best possible terms available. He'll work hard to make sure your loan gets approved. Mike has been assisting people with their automotive needs for over 20 years and has been with Near New Auto for the last 14 years. 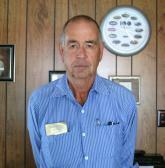 His primary goal is to help you choose the best vehicle for your needs at the lowest possible price. When not working he enjoys playing music and an occasional trip to the golf course. 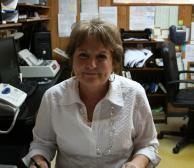 Sandy has been with us at Near New Auto since 1998. She stays very busy taking care of the day to day operations and making sure we don't make any mistakes. In her spare time she enjoys to travel and visit her sisters.